The Northshore Concert Band plays in Pick-Staiger Concert Hall. The band will return to Pick-Staiger to perform pieces honoring Holocaust Remembrance Day and Earth Day this Sunday. The Northshore Concert Band will perform a concert this Sunday to honor Holocaust Remembrance Day and Earth Day. The theme of the night is “Giving Voice to the Silenced.” The first half of the program focuses on Holocaust Remembrance Day and will feature the “Remembrance Suite,” a collection of pieces from various composers that tell a narrative about Holocaust victims, said Dr. Mallory Thompson, artistic director of the group. The five pieces in the suite are arranged in an order to create an “emotional and dramatic arch,” she said. Thompson said she takes the responsibility of honoring Holocaust Remembrance Day very seriously. “This is a really important (and) intense subject, so the music is really heavy and reflective as it should be,” she said. Laura Stibich, a clarinetist in the band, described the music as haunting and said she hopes the performance is thought-provoking in its connection to Holocaust victims. The second half of the program is dedicated to Earth Day and features music that is brighter and more optimistic, Thompson said. 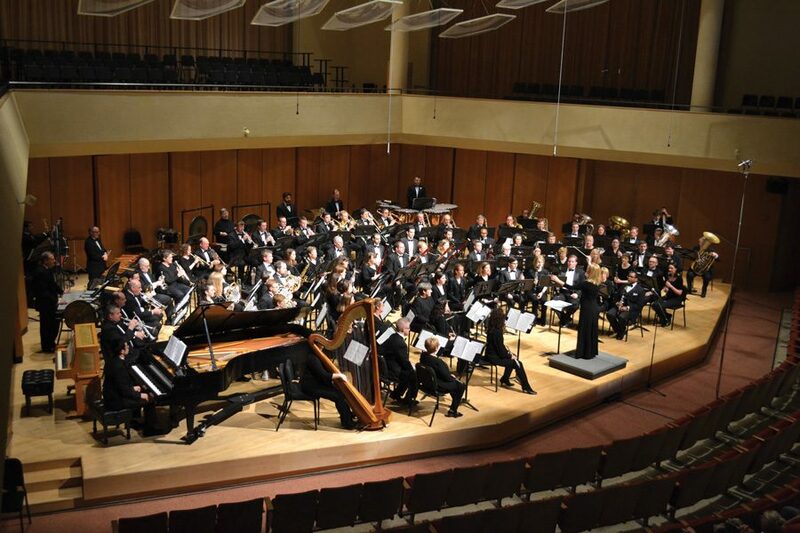 The band will play three pieces to honor Earth Day, including David Maslanka’s “A Child’s Garden of Dreams,” which premiered by the Northwestern University Symphonic Wind Ensemble 35 years ago, according to a news release. Peter Gotsch, board chair and member of the band, said the pieces and format of the program are very unique. “On one hand you’ve got sort of memorializing and remembering victims of the Holocaust, which is sort of a pensive and fairly reflective part of the program, and then you have (honoring Earth Day) … with kind of a more optimistic outlook and moving forward,” he said. The Northshore Concert Band has been rehearsing for the performance since February, Thompson said. The group has about 100 musicians and spans a wide range of age and experience, she said. Thompson said she chose the theme “Giving Voice to the Silenced” after realizing the group’s performance date coincided closely with Holocaust Remembrance Day and Earth Day. Earth Day is the day before the performance and Holocaust Remembrance day is the following Monday. After selecting the theme, Thompson said, she and her graduate conducting students pulled together as much music as they could find that would apply to the two themes before choosing the final repertoire for the performance.